As we talked about in last month’s blog post, mechanically polished concrete floors are trending in a big way. While this sustainable and durable flooring option is suitable for a wide variety of spaces, owners of warehouses are increasingly taking advantage of the many benefits of polished concrete floors. These roughly 5,000 to 20,000-square-foot spaces are prime candidates for this durable and attractive flooring option. Whether you are taking over an existing warehouse or constructing a brand new building, these are some of the top benefits of polished concrete floors in warehouses. Durability. Mechanically polished concrete floors are highly durable. They are able to withstand forklift traffic, spills and other wear and tear normal for commercial warehouses. Easy to Maintain. Polished concrete is easy to maintain. Dry mopping and occasional wet mopping will largely maintain the integrity of your floors. Price. Mechanically polishing concrete is an extremely cost-effective flooring option. 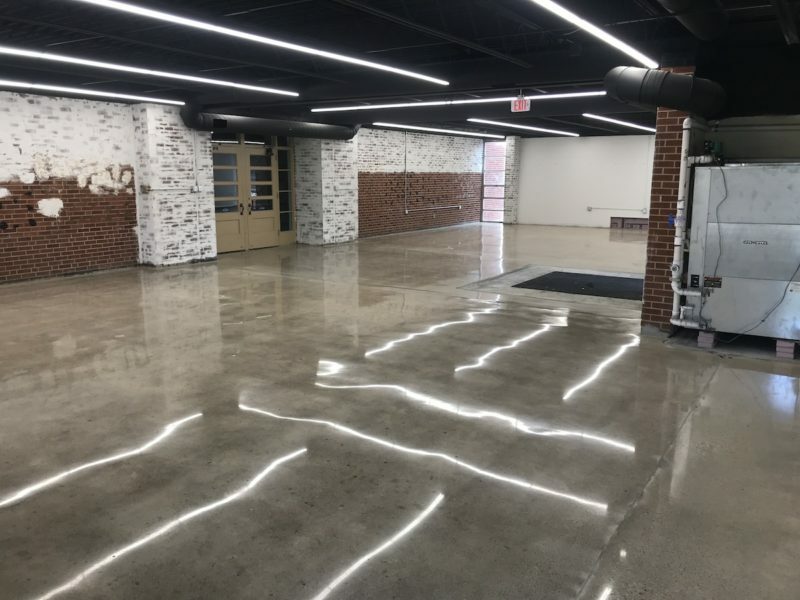 These floors are not only cost-effective for large areas during the initial polishing phase, they are also incredibly cost effective in the long term. They are low maintenance and last virtually forever. Concrete-coating systems able to withstand heavy traffic are a much more expensive option. Appearance. Polished concrete is attractive. Many companies desire a warehouse suitable for client visits. These floors offer a popular “industrial look”, as well as a high-gloss finish. If desired, polished concrete floors can also be dyed. Contact us today to take advantage of the many benefits of polished concrete floors in your warehouse.